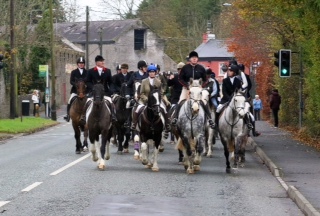 The Parents Council of St Pauls and St Johns would like to thank Mel Doyle and his team for organising a cracking day’s hunting in Monasterevin, with the cap being shared between the 2 schools. Over 150 horses and riders enjoyed jumping through a wide variety of terrain and along the River Barrow. All followers enjoyed a sumptuous tea afterwards in Mooney’s .